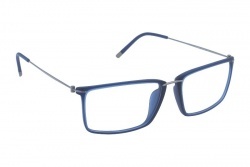 The highest quality materials are used in the manufacturing of Rodenstock glasses. All their lenses and frames are designed with timeless shapes, with vintage and modern touches. Also, they have the latest technology to create the best frames. In the brand’s catalogue we will find a wide variety of sunglasses with elegant and timeless designs where the main purpose is to achieve a 100% UV protection. They achieve this thanks to their technologic innovations present in their products. Lenses from this brand offer different options. We can choose mirrored lenses for an elegant look; photosensitive lenses that adapt to light changes and polarized filter, that blocks any reflect present in horizontal surfaces. 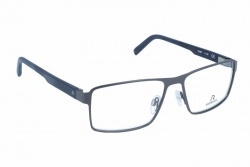 Frames by Rodenstock offer a wide variety of models in which you can choose the one that adapts best to your tastes. The brand manufactures both lenses and frames, which is a great advantage, creating the perfect balance. Furthermore, they have more than 140 years of experience in the sector. In this way they create modern and timeless shapes. In our online store you will find all models of this brand at best price. During the purchase process you can ask any doubt to our professional team, that will help you choose the best model for you. The company was found in 1877 in Múnich. Glasses are their passion and they have been active for 135 years. Thanks to celebrities like Hildergart Neft or Brigitte Bardot, who decided to pose with Rodenstock frames in magazines the brand became very famous. 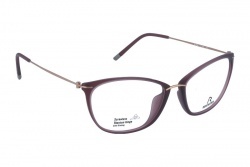 In 1960 the brand launched its most successful collection: Rodenstock Rocco by Rodenstock. Nevertheless, it was removed from the market very quickly, coming back in 2014. In 2017 the brand celebrated 140 years of activity, launching a limited edition of “the perfect frame”, created with the technologies developed all these years.